Joystick controlled, FreedomChairs are versatile powered chairs for both outdoor use and, being highly manoeuvrable, excellent indoors too. They fold incredibly easily and quickly and fit into most car boots and take up very little space indoors making them ideal for retirement apartments for example. They are great travel chairs for days out, cruises and airline travel. With ISO, CE & FDA approval, the chairs are superbly made and finished and backed up with generous warranties. 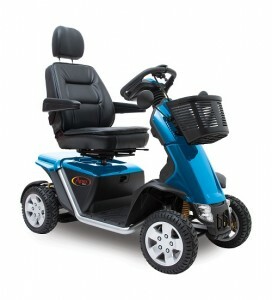 All models use a common battery across the range and can be fitted with multiple batteries, doubling or even tripling the range up to 25 miles. The Nitro Rollator walking aid has been designed for easy manoeuvrability both indoors and outdoors. 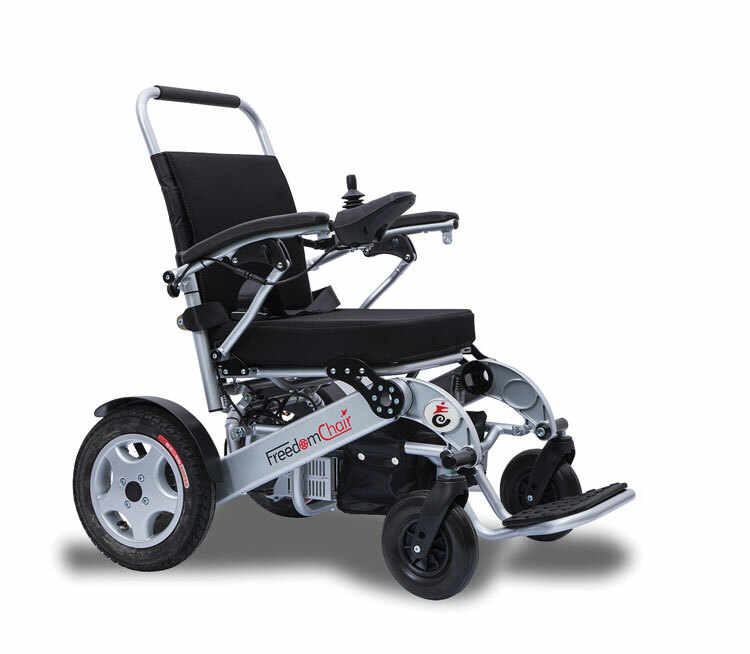 Featuring large 10” form casters, the Nitro has an enhanced turning radius thanks to the caster fork design. 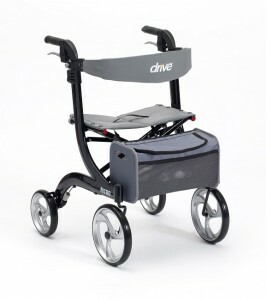 The aluminium frame is lightweight and can be folded together easily and secured with a plastic clip for easy storage. 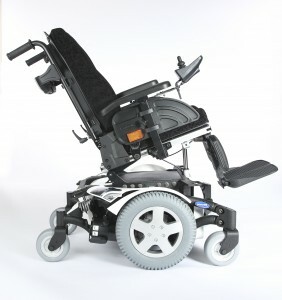 The walking aid has been made with a cross brace design for added stability and also features a brake cable inside the frame for added safety. Users can adjust the height of the handles easily using a unique push button, while the back support can be adjusted just as easily using the tool-free thumb screw. It also features a removable zipped storage bag.